A perfect gift for the hockey fan in your life. 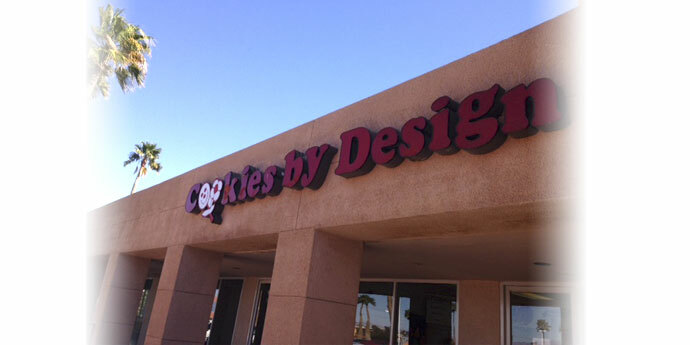 Since 1991, Cookies by Design Las Vegas has been proud to offer various designs of cookie bouquets, gourmet cookies, corporate logo/photo cookies and a variety of cookie gifts. 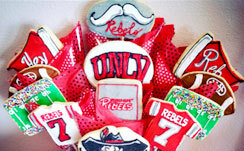 Our cookies are hand-decorated and can be personalized with names and special sayings, along with photo and logo cookies. Let us customize your order for birthday, anniversary, get well, business thank you gifts, etc. Stop in our bakery in Las Vegas bakery and catch the aroma of our fresh baked gourmet cookies and treats. Grab a treat for yourself or have a gift basket delivered to a loved one. We offer hand delivery to the greater Las Vegas and Henderson areas Monday through Saturday. Same day delivery is available in most areas. 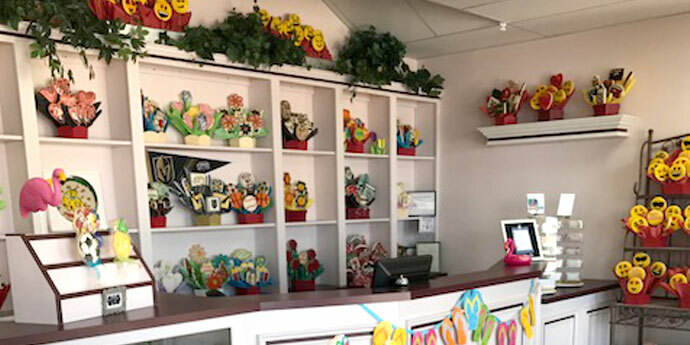 We are centrally located in the Renaissance Shopping Center on the NW corner of Flamingo Road and Decatur Boulevard in Suite 17. We are next to the Smith's grocery store training center in the complex.